Over the many years in business, Allan Yong has trained many clowns, some of whom have ventured out on their own. Allan’s friends now include his 12 full time, in-house clowns/entertainers, his many puppets and more than 20 other part time entertainers and clowns – mainly youth whom Allan recruited and trained to be children & family entertainers. Allan & Friends’ clowns are all trained in make-up techniques, clown character building, having correct clown attitudes, handling and care of children, cleanliness and maintaining a pleasant disposition. Once they put on their make-up and costumes, they strive to bring a smile to their audiences. They always aim to be more than ordinary men in clown outfits. 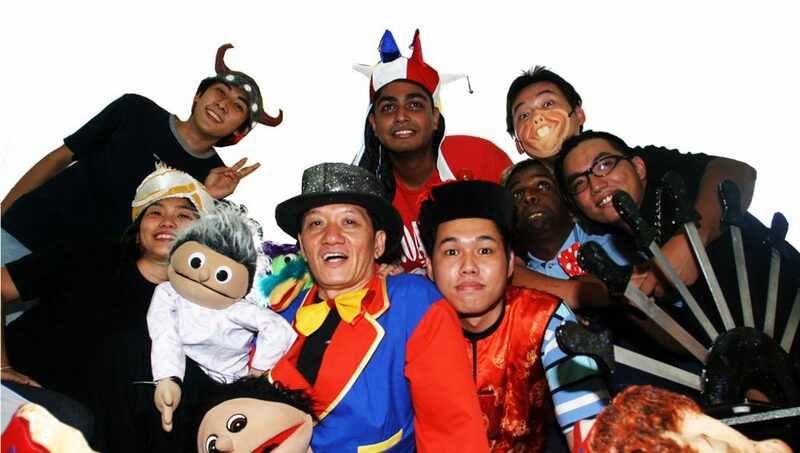 Allan & Friends’ has different categories and types of clowns who are taught different skills based on their talents. The founder/owner, Allan Yong Seow Poh, a.k.a. Uncle Allan, or sometimes dubbed Uncle Allan the Watermelon by his own puppets, graduated from the Monash University in Australia with a degree in Economics, majoring in Accountancy. He, however, left the accounting field to work as a Christian Youth Worker and later as a Camping Director with an organization called Scripture Union. In those 11 years he gained vast experiences communicating with and training children, youth and adults. Then, in Aug 1995, he founded Allan & Friends and went professional as a variety performer in the Klang Valley, specializing in ventriloquism. 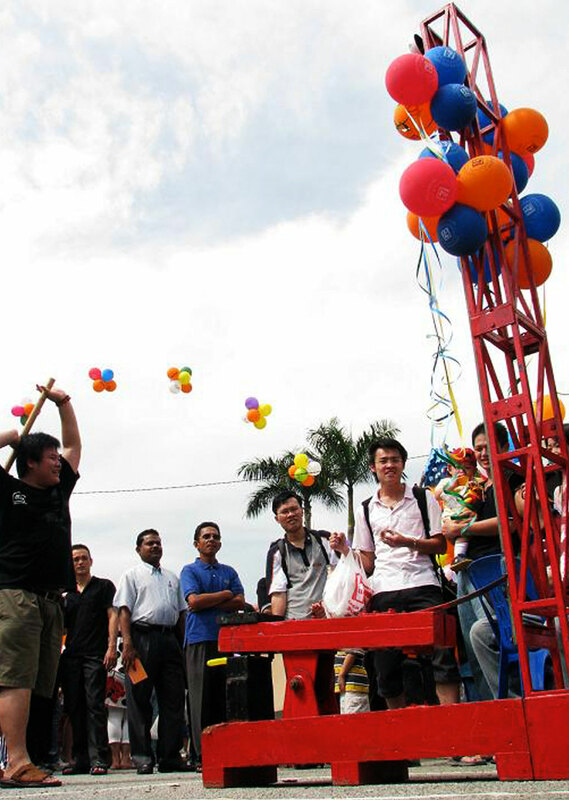 He also entertained with puppets, magic, balloons, yo-yo stunts and comedy gags. Having a career spanning over 20 years, he has performed for countless children’s parties, corporate events, church events, and royalty, performing 10 to 15 shows a month at one point. He was a pioneer ventriloquist in Malaysia, the only Malaysian out of the 300-odd participants at a ventriloquist convention in Kentucky, USA. His style and love of using humor to win his audiences over led him on to be the family entertainer he is now. Allan is married to Veronica and they have four children. Together, they lead a team of more than 30 men and women to give you the best they can through Allan & Friends’ Studios. We are one of the main suppliers for children and family entertainment services. We supply live entertainment and activities, balloon decorating services and materials, props, carnival booths and equipment as well as inflatable games. Our live entertainment include clowning, juggling, unicycling, ventriloquism, magic shows, fire eating, emceeing, game show hosting, singing telegram, stilt walking, face painting, and many others. We believe in giving our very best to serve our customers well, from the biggest corporations to making a child’s personal birthday party more meaningful and enjoyable.